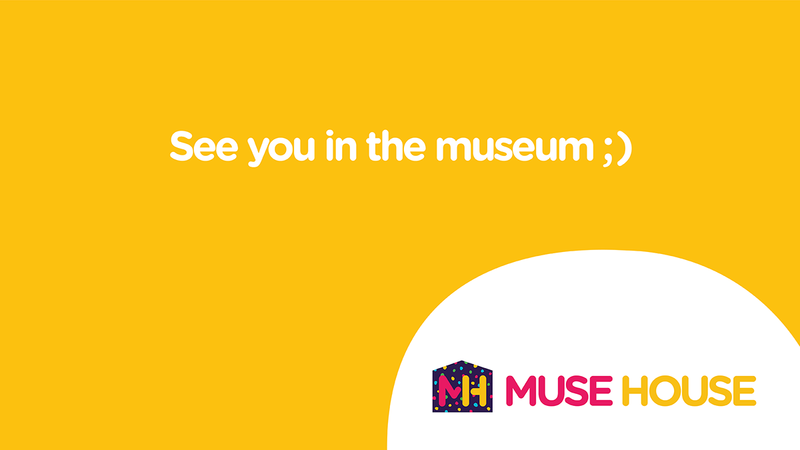 Fabrica de Tabaco. 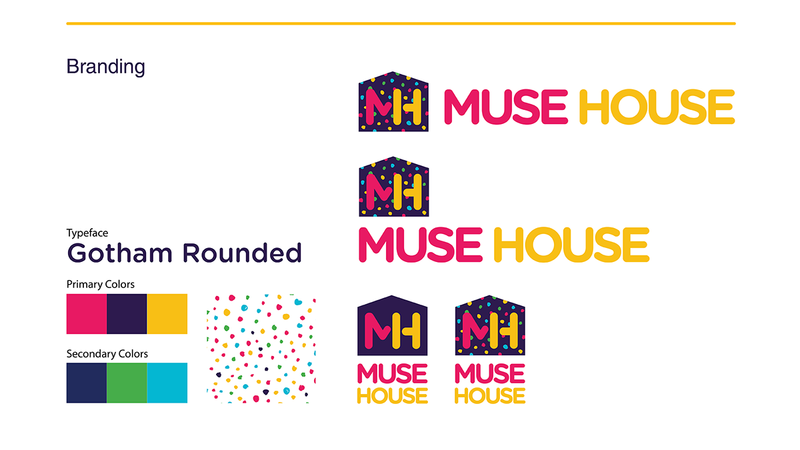 Identity and branding for broadcast. 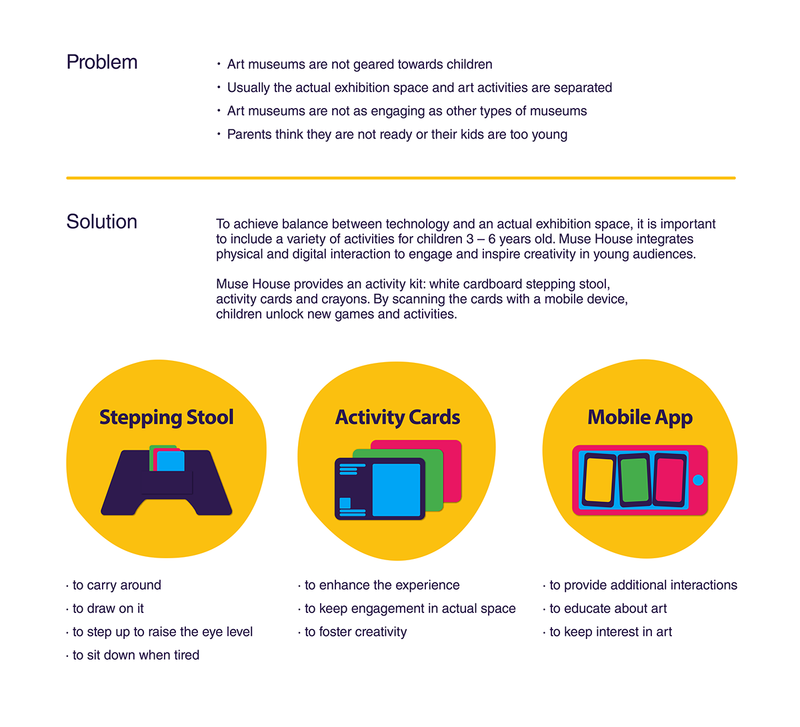 Muse House integrates physical and digital interaction to engage and inspire creativity in young audiences through a complete experience when in an art museum environment. 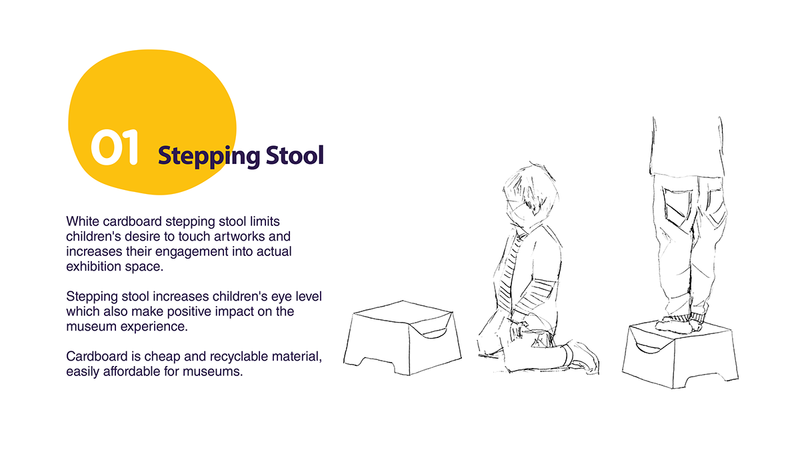 As far as children explore the environment using all their senses, it is important to include various activities. 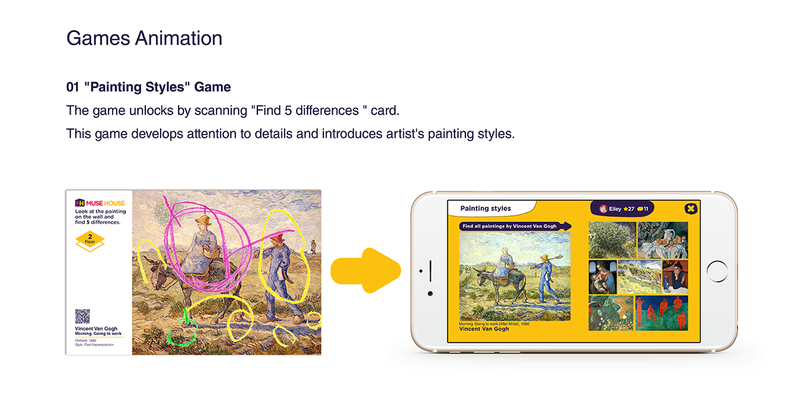 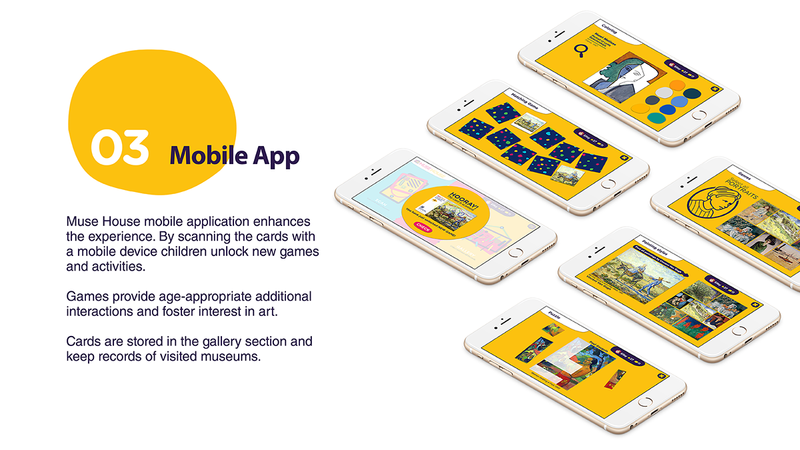 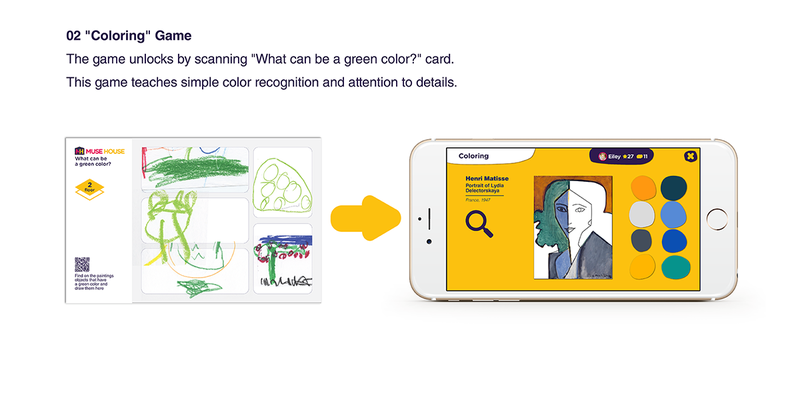 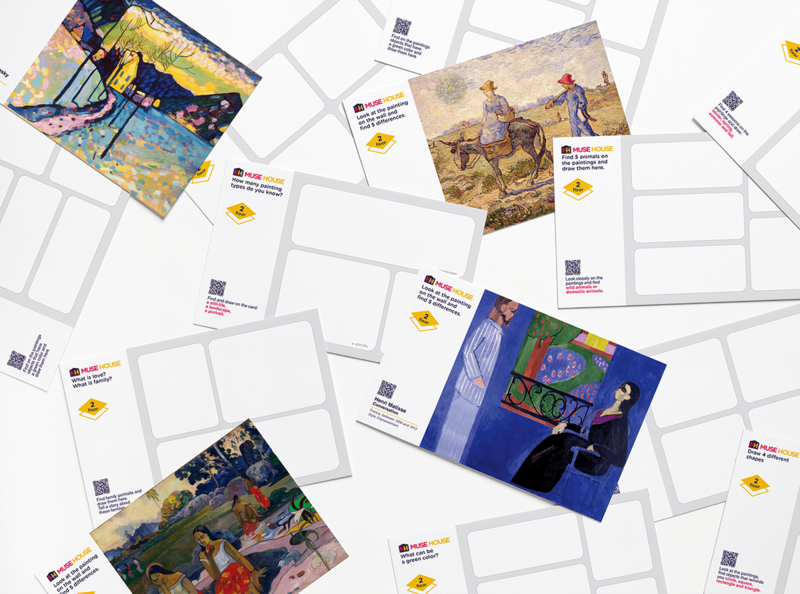 The main component is an activity kit: cardboard stepping stool, activity cards to use in the museum and mobile app for further interactions. 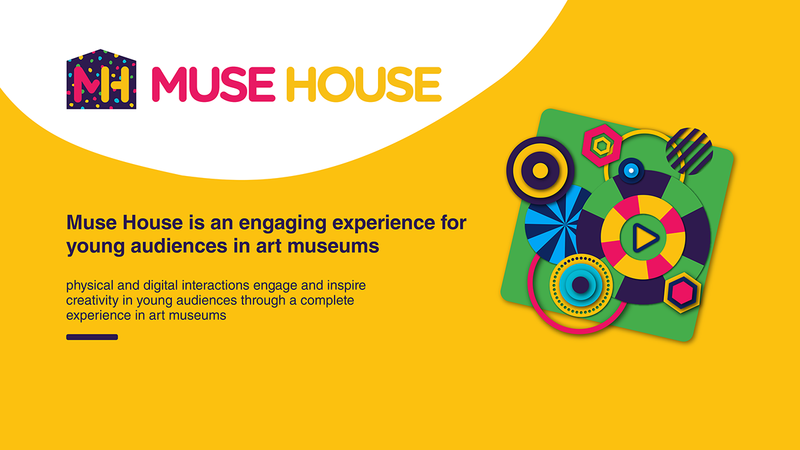 Muse House brings the content to children’s level, creates a friendly and appropriate environment that help to bring children back to art museums and enforce their creativity.